New learning offers this program for those students that, while they visit this small but beautiful part of the world, wish to enrich their studies by contributing their work and knowledge to the Costa Rican society. In this way, they are also able to practice Spanish in the different volunteer options. 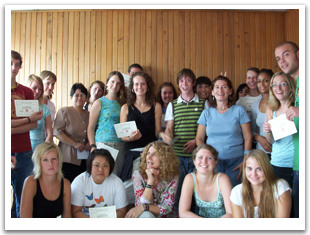 Under the concept of travel and help, our academy offers our students options for different interests. Health, Youth, and Family: Orphans, nursing homes, drug rehabilitation facilities, help for abused women, special education schools, museums, etc. Environment: Beach maintenance, work in national parks, development of recycling projects, etc. Rural Development: English in rural areas, work on farms for sustainable development. The participant should take at least 3 weeks of Spanish at NLA. The applicant must have at least a low – intermediate level of Spanish. The student should send us his or her resume with a picture, as well as complete an application sent by e-mail. This application should be mailed by the participant at least 6 weeks before anticipated arrival. The majority of the volunteer jobs are part-time, so that the participant can take classes at the same time. 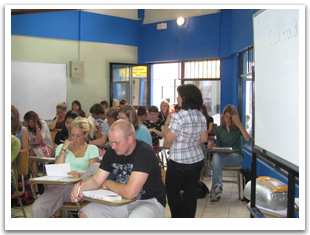 The school can offer classes in the morning or in the afternoon, depending on the schedule of the volunteer; or we can also place the student in the volunteer project after having finished his or her Spanish program. Please contact us for more information about our projects.